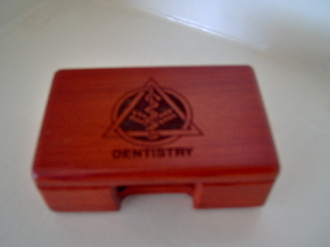 This is a very nice business card holder with the dental caduceus; the medical caduceus can also be engraved too. It comes in a gift box and measures 4.25" by 2.75" and is 1.5" in thickness. Please allow 14-21 days for delivery.